Fourteen teenagers from the Chatham County Youth Commission graduated from summer camp Friday after spending three days seeing the other side of police work first hand. 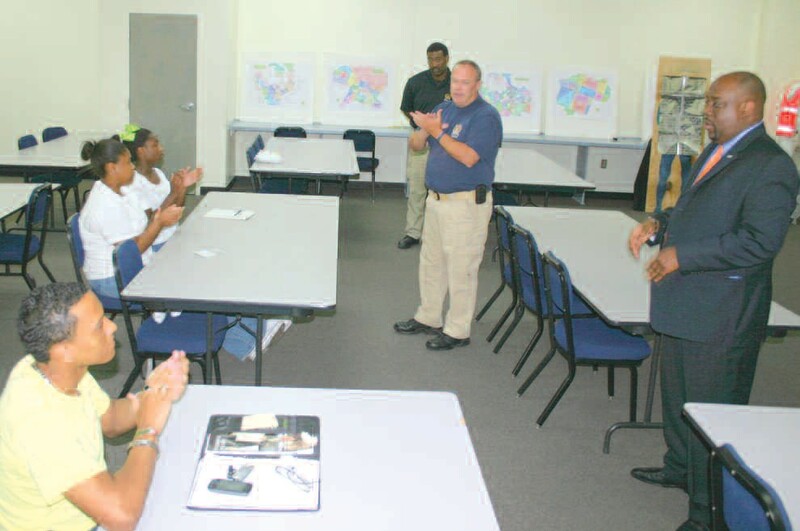 The Youth Police Academy was the first time Savannah- Chatham Metropolitan Police had partnered with the commission to show teens from the area how police go about their daily activities. Participants accompanied officers on firearms training, defensive tactics training, special operations including SWAT, Dive Team, K-9, Aviation, Marine Patrol and Traffic. The camp was based at the SCMPD training center at Savannah Mall but took place in police facilities across the jurisdiction. The participants were presented with graduation certificates at the closing ceremony at the mall, Friday afternoon.